to be standing proud for a very long time. Strong. With thick natural log walls, a handcrafted log home is a solid fortress between you and the world outside. “MASSIVE, BEAUTIFUL cabin! The pictures do not even do justice to how IMPRESSIVE this place is” ~Justin B. “The house itself is spectacular. The pictures don’t do it justice. We all had the same reaction when we drove up the driveway and the cabin revealed itself. Simply great.” ~Kevin B. “When we walked through the front door of this cabin, it simply took our breath away.” ~E.G. Attractive. 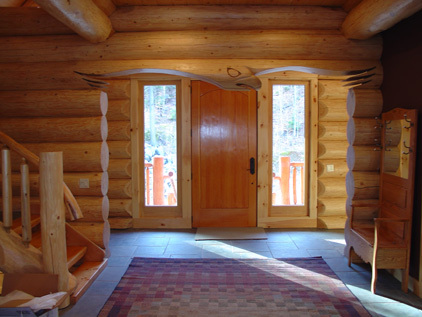 Skilled hand craftsmanship and impressive natural logs create functional works of art you can live in and appreciate. 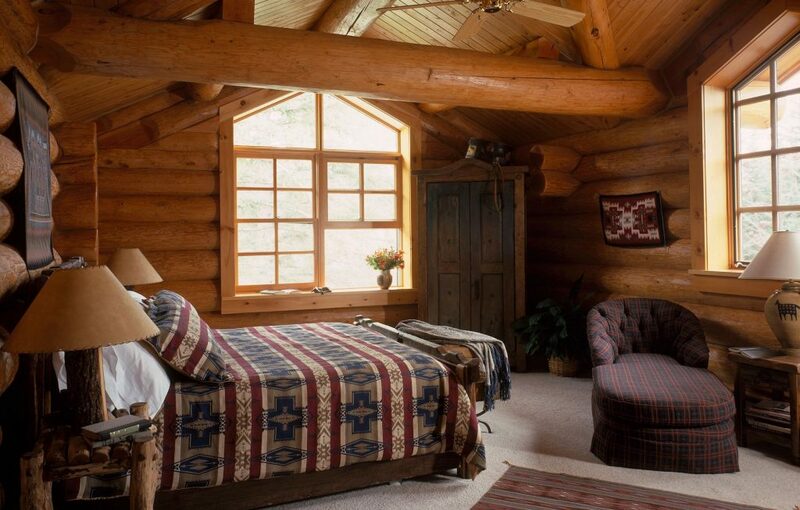 “The woodworking in the cabin is like nothing anyone has ever seen…utter beauty…truly luxurious.” ~Thomas G.
“Rustic but elegant!” ~Allison N.
Relaxing. 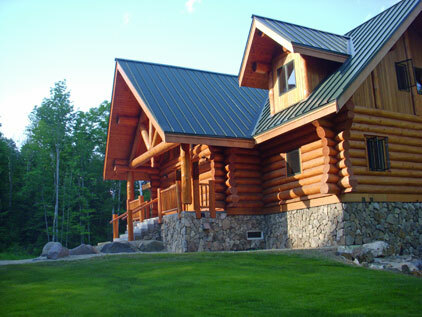 Natural elements in your home promote relaxation and log homes give the maximum benefits. You can feel it even if it takes a psychologist to explain it. Simple. Like your favourite recipe, a log home is hand made from raw natural ingredients by traditional methods. Personal. Meet the craftsmen and watch them work, ask questions and learn about hand crafted log building. Sustainable. Trees are a renewable resource and we use only timber from well managed forests in Canada. Handcrafted log construction utilizes the entire log which drastically reduces the amount of wood waste from every tree harvested. Almost time to build your log home? Let’s make it happen!